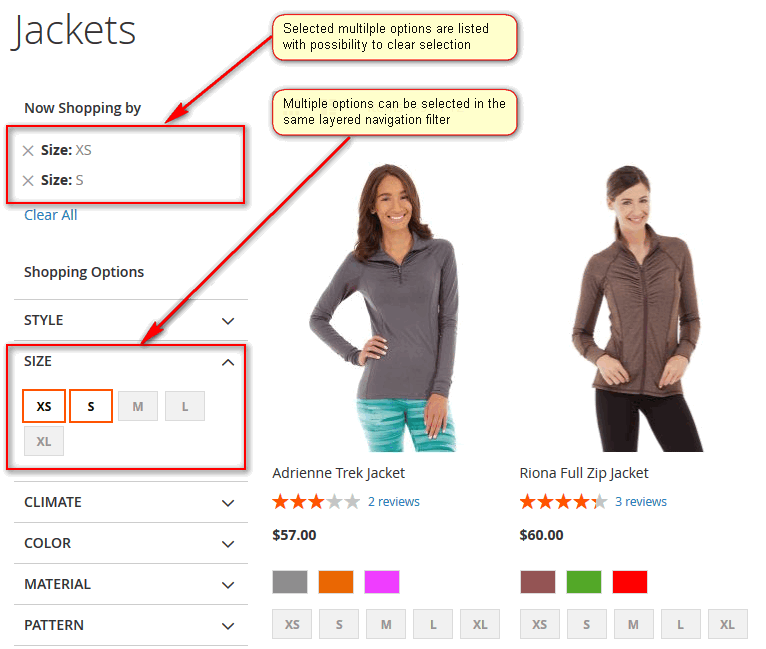 Standard Magento layered navigation does not allow customer to select more than one option of the same filter. 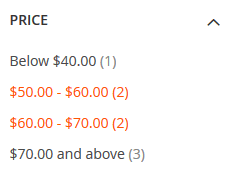 This extension feature allows customer to select several options. Customer also can see selected options and have possibility to clear selection. 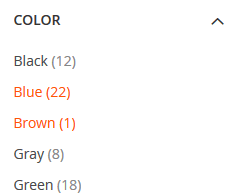 Extension adds possibility to select more than one swatch element. In example below two options were selected for Size filter. Section defines default templates for certain types of layered navigation filters. Swatches - one or few swatches can be selected. 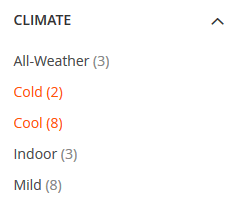 All store filters are listed in MANADEV -> Filter Settings menu and every filter can be customized there individually. Title - filter block label, which appears in layered navigation. If Use Attribute Label is checked, attribute label will be used. On Category Pages show or hide filter block in layered navigation on category pages. This parameter overrides Use In Layered Navigation value, which is set for attribute. On Quick Search Page - show or hide filter block in layered navigation on quick search pages. This parameter overrides Use in Search Results Layered Navigation value, which is set for attribute.